Good quality in compact size. Nice high quality set, be aware that the pack is not marked made in Germany. Excellent product. Compact and well made. Great for every toolbox. Great pocket pack of bits. I bought these to specifically use with a Wera ratchet for tight spots to get into. For whatever reason Wera sets don't like to include very many flat head tips. Couldn't ask for anything more. Great little pocket pack. These are quality bits, much better than some of the El cheapos you will find. Wiha knows how to make good bits, and these are no exception. 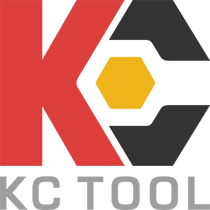 another excellent product from Wiha and another perfect ordering experience from KC Tool! Very cheap and compact. The hinge looks worse than it is. I was able to fit a couple extra bits inside of it.